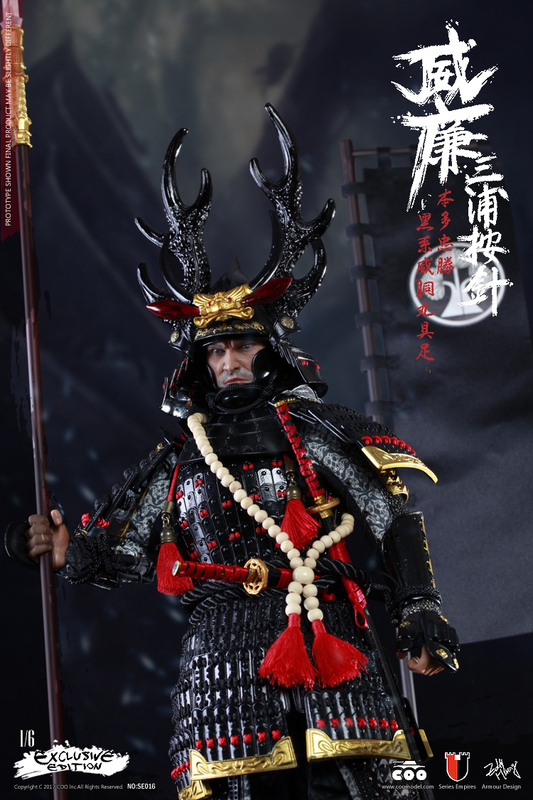 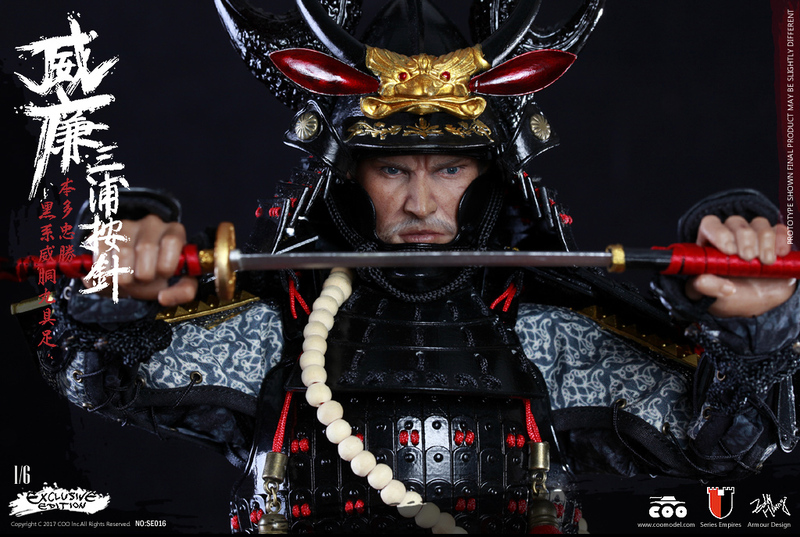 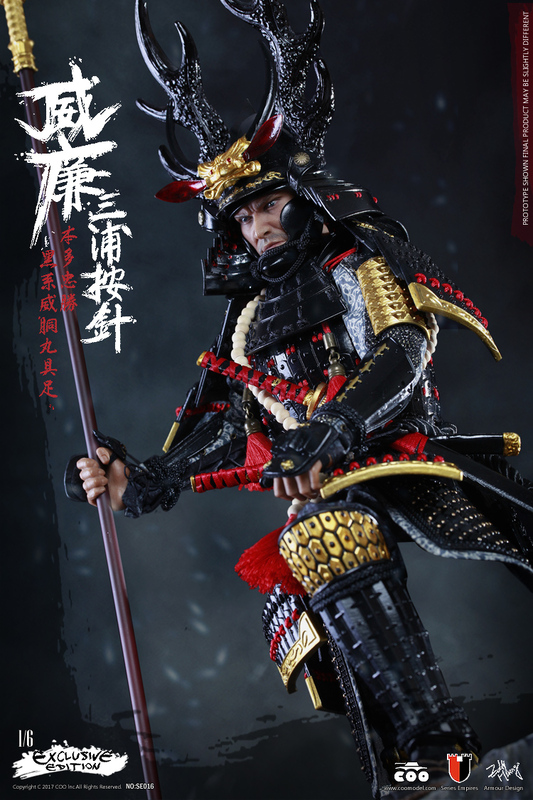 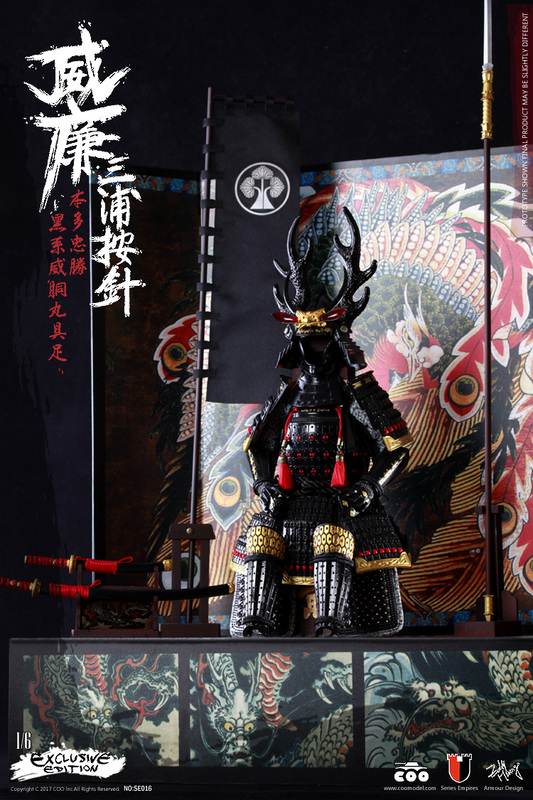 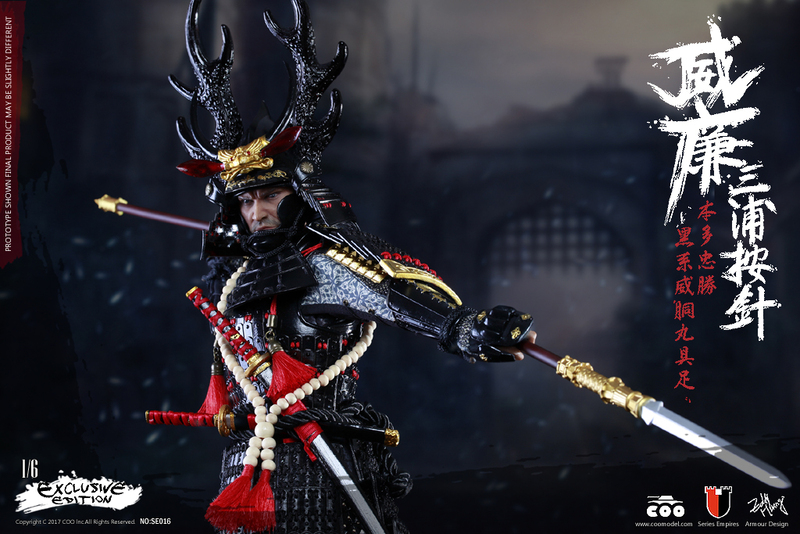 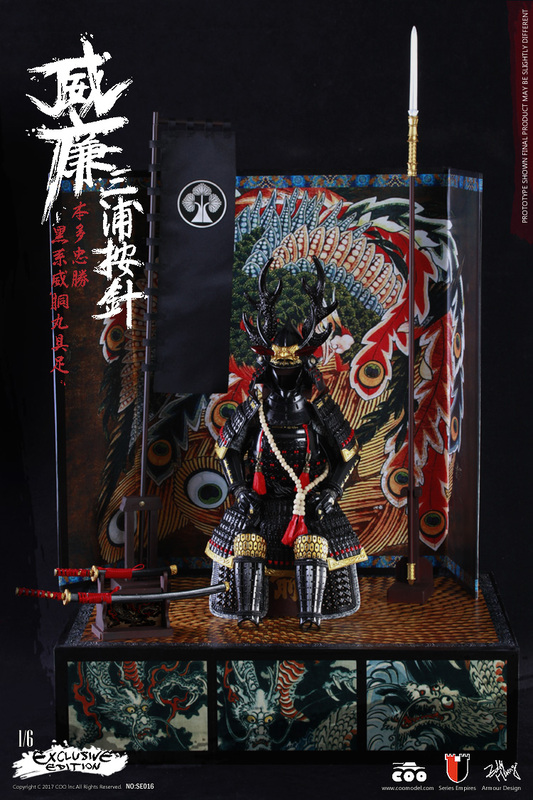 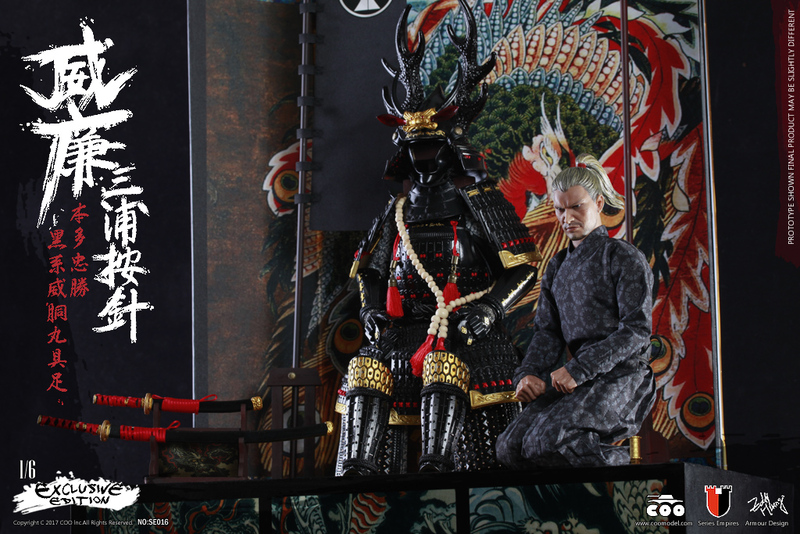 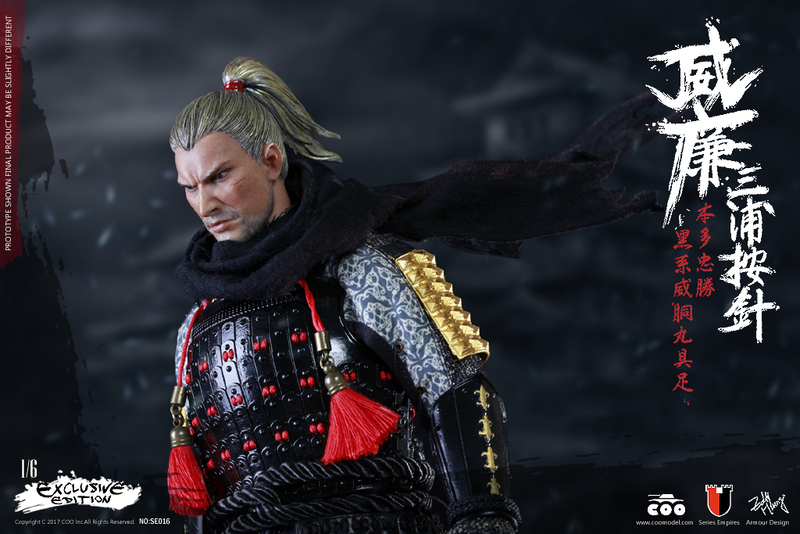 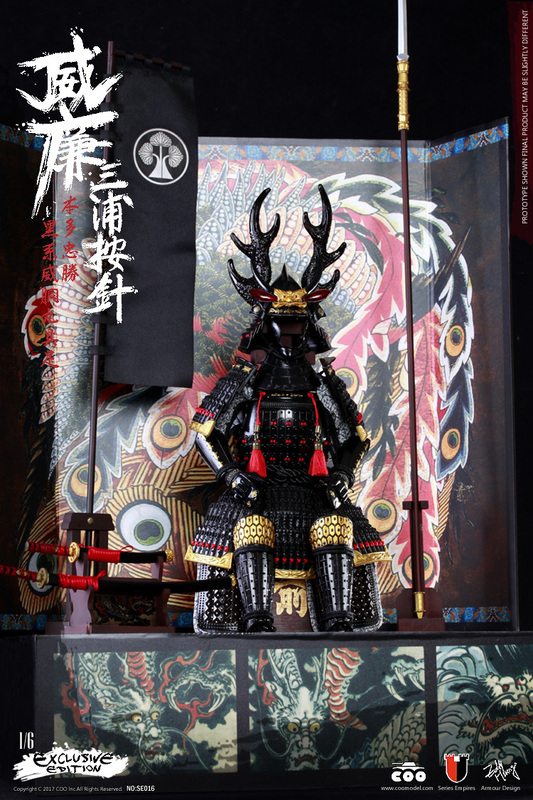 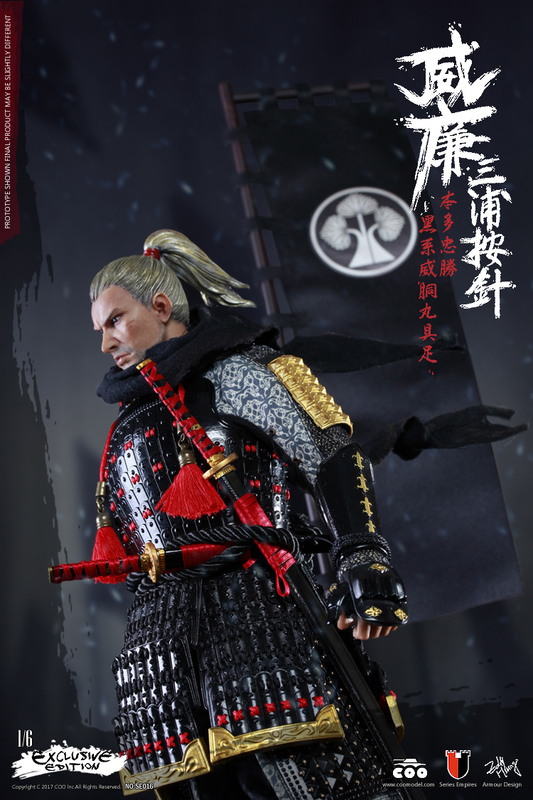 This figure is inspired on the legendary WHITE SAMURAI, WILLIAM ADAMS, A.K.A MIURA ANJIN. 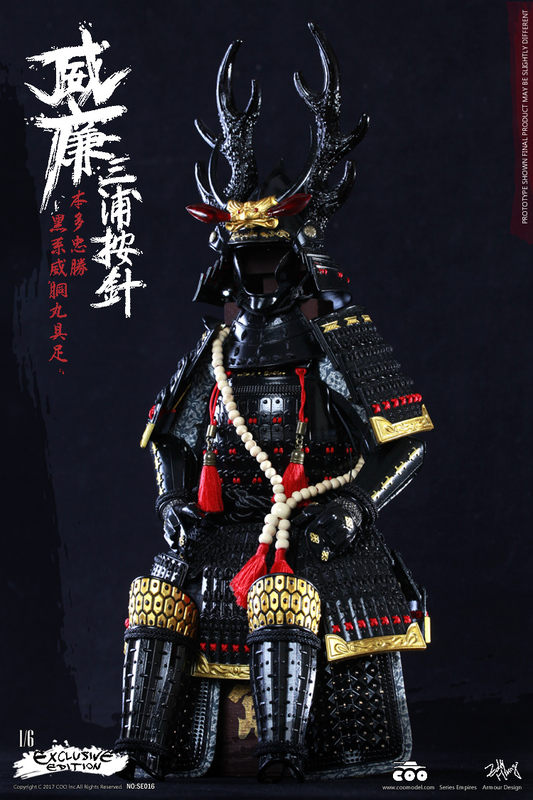 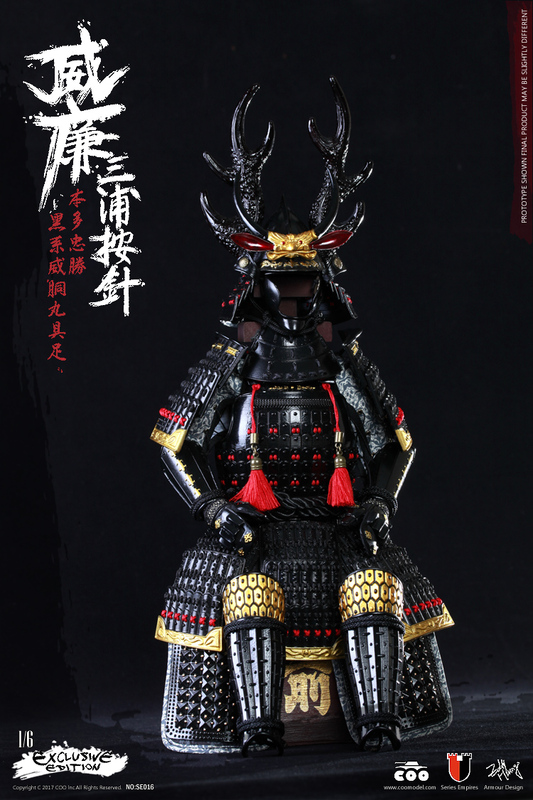 We combine this character with HONDA TADAKATSU’s famous black gusoku, to show an armored heroic posture. 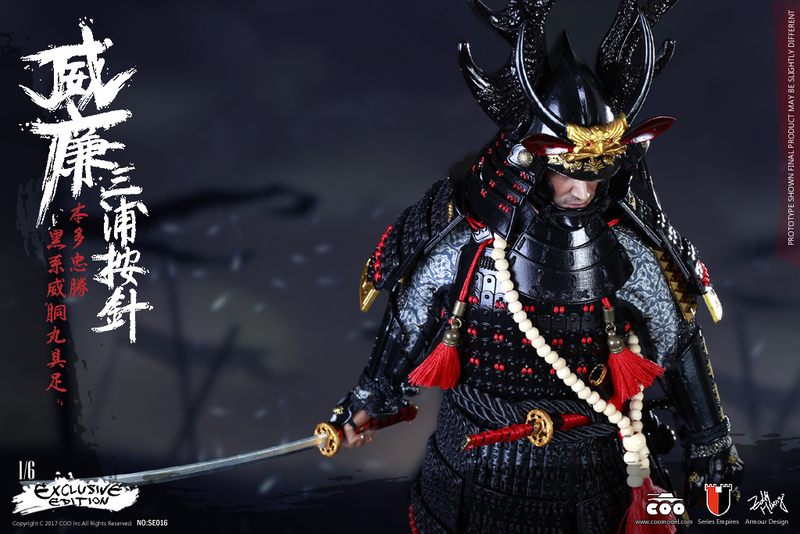 Copyright C 2006-2019 COO Inc. All Rights Reserved.